Significant quantities of drugs were trafficked into Boston from the north of England in a ‘professional operation’, Lincoln Crown Court was told. Convicted drug dealer Philip Bell, 45, formerly of Kirton, linked up with criminal associates from Liverpool, Leeds and Hull through contacts he made while serving a long-term prison sentence for previous offences. Supplies of heroin, cocaine, M Cat and amphetamine were couriered into Boston with large amounts then moved out to Hull in a series of early morning drug trips carried out by Linda Dos Reis and her neighbour Margaret Wattam. Dos Reis was said to have made more than 20 trips north. Gordon Aspden, prosecuting, said the drug supply chain was originally planned in Hatfield Prison near Doncaster where Bell met Liverpool man Gary Perry and Leslie Hodgson from Hull. All three were serving sentences for drug related offences. During the police operation that followed 4 kgs of cocaine were seized on 30 October 2014 along with 2 kgs of amphetamine and 1 Kg of M Cat. Cocaine was also seized on 18 November while heroin was seized on 10 December. 17 men and women face sentences after admitting offences arising out of the police investigation into the drugs supply operation. 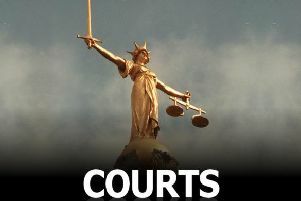 Philip Bell,45, formerly of Kirton, admitted three charges of conspiracy to supply drugs; Linda Dos Reis,55, Parthian Avenue, Boston; admitted two charges of conspiracy to supply drugs plus a further charge of possession of cocaine with intent to supply; Margaret Wattam, 59, of Parthian Avenue, Boston; admitted two charges of conspiracy to supply drugs; Louise Baxter, 35, of Franks Close, Kirton; admitted two charges of conspiracy to supply drugs; Amber Medina,26, of Hardwick Estate, Kirton; admitted one charge of conspiracy to supply drugs and a further charge of possession of cocaine with intent to supply; Michael Chand, 34, of Redmoor Close, Sat Ives, Cambs, admitted conspiracy to supply heroin. Joao Dos Reis, 59, of Parthian Avenue, Boston; admitted possession of criminal property. Seven men from Liverpool all admitted conspiracy to supply drugs. Leslie Hodgson,54, of Wimbourne Close, Hull, has admitted conspiracy to supply drugs. Paula Jackson, 43, also of Wimbourne Close, Hull, admitted supply of cannabis resin and permitting premises to be used for drugs supply. David Towers,25, of Farnley, Leeds, admitted two charges of possession of drugs with intent to supply plus a further charge of dangerous driving.